Felix Finkbeiner was a nine year old student in Bavaria in 2007 when he was given the task of preparing a classroom presentation on climate change for his homework. He discovered the story of Wangari Maathai of Kenya, the environmental activist and first African woman to be awarded the Nobel Peace Prize. Inspired by Wangari's Green Belt Movement Felix formulated his vision: Children could plant one million trees in every country on earth and thereby offset CO2 emissions all on their own, while adults are still talking about doing it. Each tree binds a CO2 intake of 10 kg per year. The idea grew into the international youth organisation known as Plant for the Planet which campaigns for tree planting across the globe. The membership organisation organises events in addition to tree planting and operates a Climate Justice Ambassador scheme. 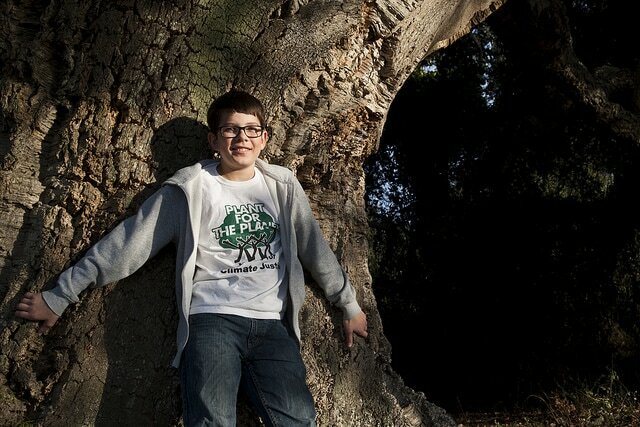 In 2011, the UNEP turned its Billion Tree Campaign over to the organization Felix had started. By that time, the UN program had celebrated the planting of 12 billion trees. 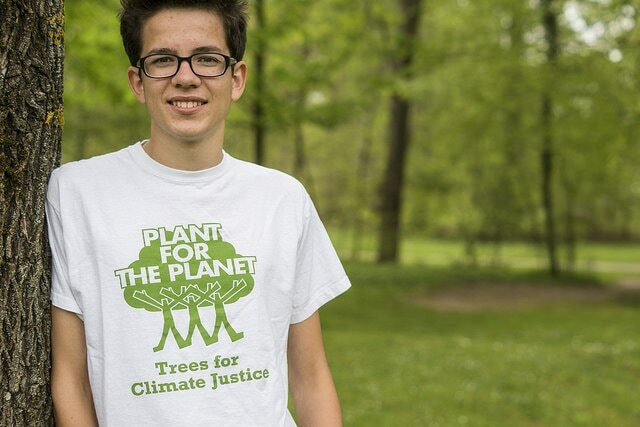 At Plant for the Planet Academies, children (aged 9 - 12) become Climate Justice Ambassadors and explore all the important topics of the climate crisis and global justice, learn how to give presentations and how to organize tree planting events. Plant for the Planet Academies had taken place across 45 countries worldwide, resulting in 30,000 Climate Justice Ambassadors. So far, with the help of many adults, Plant-for-the-Planet youths have already planted more than 14 billion trees in 193 countries. These children teach and empower others, in academic settings, to become Climate Justice Ambassadors. More than 55,000 children from 53 countries worldwide are already participating.